Which is better: SEO or Google Ads? 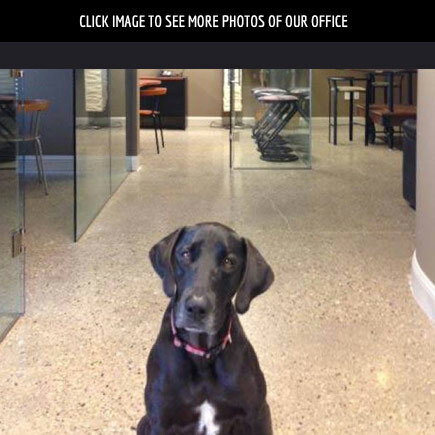 That dog to the left: that's Paxil, the office dog, and her formal title is: Official Office Greeter, Couch Warmer, and Blood Pressure Lower-er. As you might know by now, we're a Columbus web design firm working with local, regional and national clients in a variety of industries. We have the expertise to create, write, design and implement your marketing materials so they reflect the client-focused nature of your organization and, more importantly, are better than your competitors' marketing materials! It's a talent we find is continually in demand. We believe you can't develop the right solutions if you don't ask the right questions. So that's what we've been doing successfully for 30+ years. Talk with us about print and web design, email marketing or search engine optimization. Whether it's business-to-business or business-to-consumer marketing, we have real-life expertise we bring to the table. Find out how you can benefit from our experience! If you don't get your prospects' attention immediately, you probably won't get it. We specialize in getting your prospects' attention in 5 seconds. If you're not touching your prospects on both an intellectual AND emotional level, you're wasting your money. If they can relate, they will respond. Please take a moment to look around at our work, and if you find it of interest, we'd love to start a conversation. Would you like to speak to a human?